The centre-lathe is by far the most versatile machine tool in the workshop, but as soon as you depart from plain turning between centres, the question arises 'how to hold the work'. This book explains the methods and techniques required. A fundamental requirement of lathe operation, for accuracy and safety, is the ability to hold any workpiece securely and, preferably, repeatedly on the machine. While few problems arise with straightforward work on a properly aligned lathe, the variety of jobs undertaken by small workshops and model engineers is bound to give rise to occasions when how to hold work requires consideration. When great accuracy is essential, working methods and lathe set-up are vital for an acceptable result. 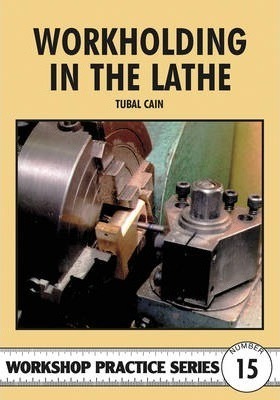 In this book Tubal Cain discusses in his inimitable, practical style all aspects of the subject with the whys and hows, including basic lathe alignment. Between Centres. Faceplate Work. General Chuckwork. Universal or Independent Chuck. Self-Centreing Chuck. Unusual Chucks. Collets. Work Steadies. Lathe Alignment.